Soul for Real was a very talented R&B singing group that I listened to as a kid. And I admit to having mix tapes with “Candy Rain” that I still listen to today. Great record. Our mid-flight meal consisted of a menu I honestly cannot remember in great detail. But the food that me, my brother and cousins ordered was what was labeled as, “Pancakes and Sausage.” Of course, to kids we were overwhelmed with excitement. “Pancakes?! YESSSSSSS!” <hands in the air> Little did we know, the airline’s interpretation was not what we had imagined. I remember the pancakes being super thin and pale, and the sausage being white in color. “White sausage?! !” Us kids complained. We didn’t know any better, of course. Remember, we were just kids. So we refused to eat it. Looking back now, I really do wish that I did at least try it. 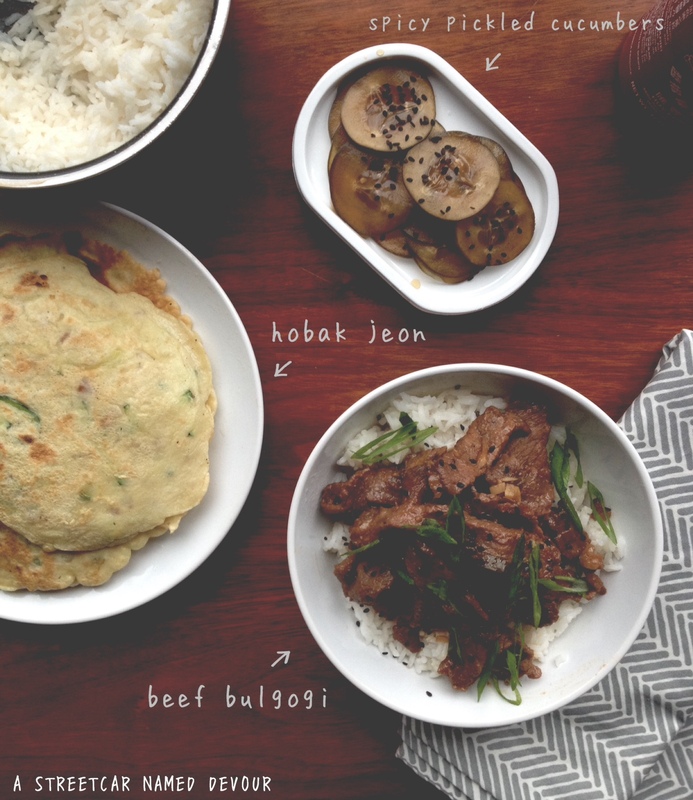 So now that I’m older and wiser (haha) I’m lucky to have been exposed to several different cuisines and foods that I would have never tried before. Culinary school and my genuine curiosity is to thank. 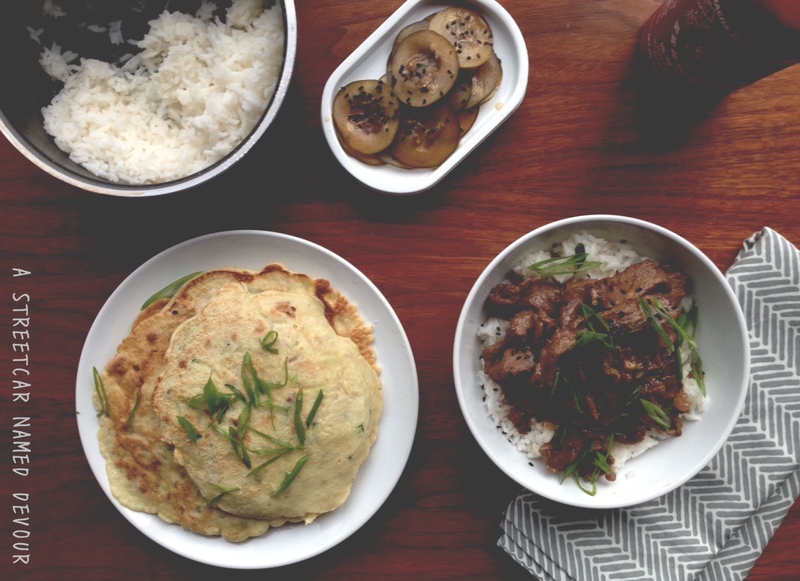 But my favorite current Korean-style meal right now is Beef Bulgogi (Korean bbq) and Hobak Jeon (savory zucchini pancakes). Check out the following links for these very delicious and worthwhile recipes!